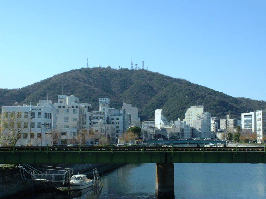 The 2008 IEEE Workshop on Nonlinear Circuit Networks (NCN'08) will be held on December 5-6, 2008, at Shikoku University, Tokushima, Japan. The objective of this workshop is to provide a forum for exchange of the latest results related to nonlinear circuit networks. Papers describing original works in all aspects of nonlinear circuit networks are invited. The NCN has been founded as a closed internal workshop by Prof. Ushida and Prof. Tanaka in 1995. In 2006, NCN'06 was organized as the first open NCN workshop sponsored by the IEEE CAS Society Shikoku Chapter preceded by 17 closed NCN workshops held in Tokushima, Tokyo, Nobeyama and Karuizawa. In 2007, a closed NCN workshop was held in Tokyo in August and the second open NCN workshop (NCN'07) was organized again by the IEEE CAS Society Shikoku Chapter in Tokushima in December. The NCN'08 will be the third open NCN workshop. NEWS:Advance Program has been released. You do not have to register the workshop in advance. Registration fee is payable at the on-site registration desk. Only cash payment is accepted.